The town of Lee, Massachusetts holds special meaning to my maternal side of the family. My grandmother, Hope Elizabeth Dunn, was the daughter of William Jordan Dunn and Helen Veronica Maloney. She was born in New Bedford, Massachusetts in 1911, the oldest of three children. Her siblings, Helen and William Dunn, were also born in Bristol County, Massachusetts during the 1910s. When their father died in 1918, Helen Veronica Dunn was left to raise three young children on her own. Happily, William Dunn’s family, who resided in Lee, stepped in to help the young family out during those difficult years. As a result, the children spent much of their childhood at the rural home of their paternal grandparents in Lee. Helen, William, and Hope Dunn with their mother Helen Maloney Dunn in Lee, ca. 1943. 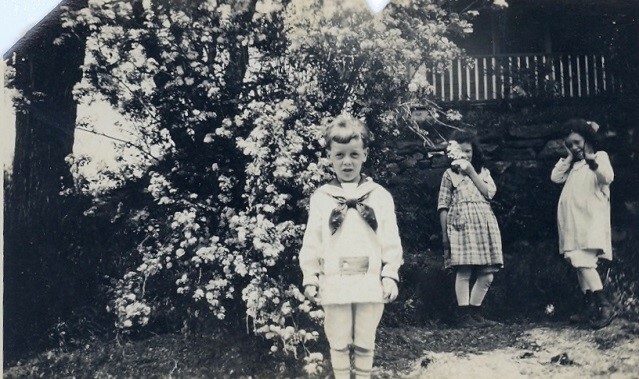 During the 1920s and 1930s the children spent much of their time in Lee. Their Aunt Agnes, Aunt Mame, and Uncle James raised them as their own children. My great-grandmother was able to work, and help support the family during the Great Depression. Unfortunately, the children were not raised together throughout their entire childhood. When the girls were old enough to start working, they moved to Somerville, Massachusetts with their mother, while their brother, William Dunn, Jr. stayed in Lee with his father’s family. 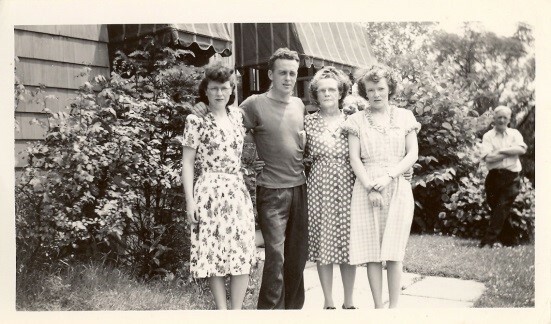 The family would get together as much as they could during the 1930s and 1940s. In the 1950s and 1960s, a new generation created new memories. Hope and Helen would bring their children up to visit their aunts and uncles; Bill married a lovely woman from Lenox, and they had children of their own. My mother fondly remembers fishing, catching night-crawlers and fireflies in her cousins’ backyard, going to the dairy farm with her uncle, and visiting Lenox and Stockbridge in her teens. She remembers spending time with her Aunt Mame, Aunt Agnes, and Uncle James. Aunt Mame was the family historian, and she loved sharing stories of her youth with the next generation of Dunn children. 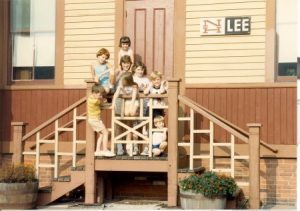 Fifth generation descendants of Edward Dunn and Mary Ann Jordan at the Lee Train Depot, August 1986. 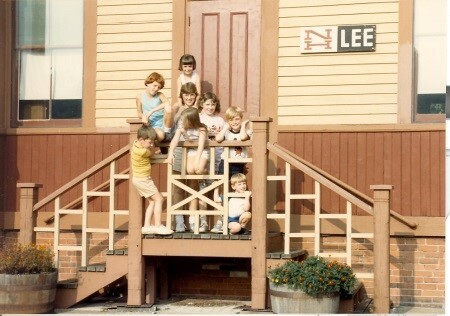 As a child during the 1970s, I would visit my Aunt Nan and Uncle Bill in Lee. My Uncle Bill would show my brother and me the “special” sites of Lee in his blue Volkswagen Bug. Of course, we would always try to be the first to do the “punch-buggy-don’t-punch-back” game, and hopefully not get caught by any of the adults. Some our favorite sites were the train depot, dairy farm, and the paper mill. More recently, my trips to Lee focused on genealogical research. My Aunt Sally was my genealogy buddy, and we traveled all over New England in search of family records. One of our precious research trips was to Lee, as it was our last genealogy trip before she passed away. The memories of that trip will be forever in my heart. We visited the cemeteries, went to the old homesteads, and shared wonderful stories of Aunt Nan and Uncle Bill. Thinking of Lee always brings a smile to my face and the others in the family, even in sad times. A few years ago, while attending the funeral of my cousin, a trip up the hill to the dairy farm was just something you had to do. Seeing the farm provided much-needed “happy-place” smiles for a couple of Dunn descendants on that sad day. Every family has those special places that form our ancestral identities, places that you are drawn to for no other reason besides a memory. Cherish them, and share them with future generations. “Back in my day…” can be a great conversation starter when introducing places to newer generations, even if everything has changed. There is something wonderful about walking the same streets, seeing the same rooms and objects, going to the same church that one’s forefathers and mothers did. It builds family connections, and it provides a way to have a better understanding of who they were. And the perceptions change as we grow older. 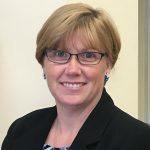 Linda – I live in Framingham. If there’s anything you’d like me to send you a picture of, I’d be happy to do it. Thank you so much Leslie. Such a kind gesture. I would love a picture of Natick as it is now. I was almost 10 when we left and it was just a small town then. I have seen some pictures of Framingham and how much it has changed. I didn’t even recognize it. I remember we used to go to “Shopper’s World” and my brother and I would ride on the little boat they had there. Just a few weeks ago my sister and I travelled to Quebec City from our respective homes in Michigan and Toronto to “research” our Dunn ancestors. ( I won’t be foolish enough to say “no relation,” but this branch was an English family that lived in QC from 1896 to 1914, and, for the most part, returned to England in that year.) It was our first trip to QC, and was a very special treat afforded to me by my sister. It is indeed true, Carolyn, that walking the same streets, etc. can bring a lot of joy. But imagine being welcomed by an entire cathedral commuity! as our paternal 2nd great grandfatber was the Anglican archbishop of Quebec, Andrew Hunter Dunn. Learning about the cathedral, imagining visits there by my grandmother as a child, dining at Restaurant aux Anciens Canadiens and picturing all of them sitting there.. was thrilling to say the least. And we made friends with some wonderful people. I’ve learned over time that this kind of “connection-making” activity doesn’t necessarily reverberate in all members of a family. 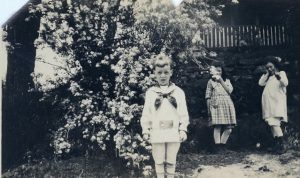 But I’m so grateful to have been the one in mine to have been bitten by the genealogy bug. It has protected my sanity in this our strange world!–because truly, as has Kathleen, I have taken my connections to heart.